Amyloidoma or amyloid tumor consists of a localized deposit of amyloid material, which is composed of extracellular fibril-lar proteins with a b-pleated sheet secondary structure. Amy-loidomas are rare and usually located in the lung and upper respiratory tract. Occasionally, these tumors have been detected in the PNS, most commonly in the trigeminal or gasserian ganglion or one of its three branches.96,129 The etiology and patho-genesis of amyloidomas in peripheral nerves are unknown. Some studies have suggested that amyloidoma formation is due to an abnormal inflammatory response, where elevated numbers of plasma and other inflammatory cells are present surrounding the amyloid deposits. Treatment includes surgical excision of these abnormal masses. MPNSTs include all malignancies arising from the connective tissues of the peripheral nerves. Attempts to subdivide these tumors based on cell of origin have not yielded consistent results. They are extremely rare in the general population, with an incidence of 0.001 2 however, they are a major cause of mortality in individuals with NF1. These patients exhibit a lifetime risk of 8 to 13 .3 In patients with NF1, MPNSTs are thought to arise from preexisting plexiform neurofibromas and occasionally neurofibromas. MPNSTs are aggressive lesions with a poor prognosis that exhibit progressive enlargement, infiltration of surrounding tissues, and frequent metastases. Peripheral nerve tumors (PNTs) are not common lesions. Although it is widely recognized that these lesions do occur in the pediatric population, PNTs occur with less frequency there than in the adult population. The differential diagnosis of a suspected PNT in a child follows the same general framework as for adult patients (Table 107-1), but there are several key differences between PNTs in the pediatric population and their adult counterparts. For instance, as will be discussed in detail later, lesions with a neural histogenesis, such as neuroblastoma, occur in a much larger proportion of pediatric patients with PNTs than in adults, whereas nerve sheath tumors are relatively less common. This chapter highlights the specific nuances of PNTs that are unique to the pediatric population. Benign tumors of the peripheral nerves are often localized to single sites and are related to pressure or trauma. For example, Morton's neuroma is commonly associated with increased pressure or tight-fitting shoes and represents fibrotic swelling of the nerve in response to repeated insult. Located on the plantar surface of the foot, it is treated with excision or observation. Symptoms include localized pain, tenderness, and weakness of the distally affected muscles innervated by the nerve. Ganglion cysts may result from repeated trauma, leading to undue inflammation and cystic degeneration. In other cases, transected stump nerves undergo unorganized sprouting, leading to a large clump of disorganized cells and their processes. I Peripheral nerve tumors are rare lesions that can arise anywhere on the body and as a result have a wide differential diagnosis. They commonly occur as a nonspecific mass lesion that is diagnosed as a peripheral nerve tumor at surgery. Although these tumors may initially be seen by a wide variety of surgeons, early recognition of the nature of the lesion and appropriate surgical treatment by a surgeon with expertise in peripheral nerve surgery is essential to minimize postoperative neurologic deficits. Even more rare are the malignant neoplasms of the peripheral nerves, with an incidence of 1 in 10,000 in the general population. This chapter focuses on the latter and aims to provide a classification and a management scheme for malignant peripheral nerve tumors. Pain following peripheral nerve injury may be exacerbated by sympathetic activity. In these cases, the structures distal to the injury (almost invariably in a limb) are cold, discoloured, demonstrate marked allodynia and have worse pain in a cold environment. Symptoms are improved with a sympathetic block. 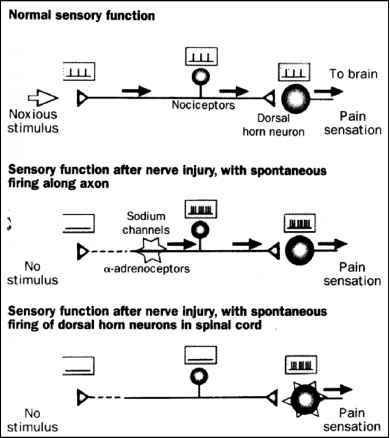 In these cases, a-adrenoceptors are expressed on the damaged nerve and, in the presence of norepinephrine from local sympathetic nerves or circulating epinephrine, induce peripheral sensitization of nociceptors and even Ap terminals. Stimulation of the latter may, in the presence of central sensitization, cause pain. However, many patients with persistent pain following trauma, with or without a peripheral nerve injury, do not have these symptoms, do not have sympathetically mediated pain, and so do not respond to a sympathetic block. Before the middle of the 19th century, nerve fiber conduction was thought to be instantaneous. In 1850, von Helmholz,8 in a classic series of experiments with an isolated nerve muscle preparation, demonstrated the temporal nature of nerve fiber conduction and paved the way for the elucidation of most of the relevant physiology of peripheral nerve stimulation. Of particular importance is the relationship between the strength and duration of the current and the polarity of the stimulus. Gabapentin (Neurontin) is currently used most often, although its use for pain is off-label. It may be useful for neuropathic extremity pain due to iatrogenic nerve injury, arachnoiditis, prolonged neural compression, and peripheral neuropathy. It has been shown to be useful in some patients with leg pain due to spinal stenosis. 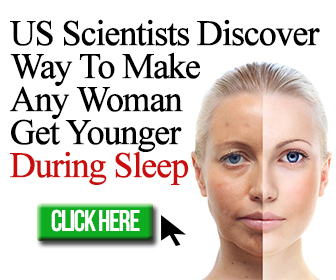 Gabapentin is started at 100 to 300 mg at night and then increased to 300 mg every 8 hours over the days to weeks, and then gradually titrated upward until there is good pain relief or significant side effects. 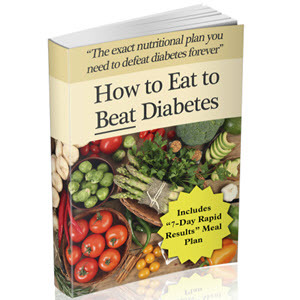 Pain relief may occur at 900 mg per day, but often 1800 mg to 3600 mg per day are necessary. Side effects include dizziness, somnolence, ataxia, and headaches, but these are usually seen at the higher dose levels. All components of the peripheral nervous system are susceptible, but nerves in the feet are often the first structures to signal the impact of DM. Typically, onset of symptoms occurs in the evening or at night, suggesting nerve dysfunction because capillary peripheral perfusion diminishes with reclining or sleeping. 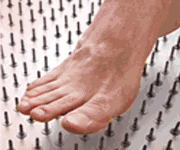 Paresthesias are perceived as numbness, burning, or pins and needles in the toes or the bottom of the foot. Massaging the foot, pushing against a bed board, or walking may help as the microcirculation improves. Remarkably, some patients demonstrate these classic symptoms of diabetic neuropathy even before hyperglycemia occurs in the blood. McDonald WI Physiological consequences of demyelination. In Sumner A (ed) The Physiology of Peripheral Nerve Disease. Philadelphia, W. B. Saunders, 1980, pp 265-286. Ochoa JL Positive sensory symptoms in neuropathy Mechanisms and aspects of treatment. In Asbury AK, Thomas PK (eds) Peripheral Nerve Disorders, Vol 2. Oxford, Butterworth Heinemann, 1995, pp 44-58. 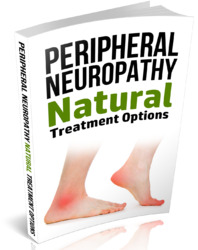 Olesen LL, Jensen TS Prevention and management of drug-induced peripheral neuropathy. Drug Safety 1991 6 302-314. Thomas PK, Griffin JW Neuropathies predominantly affecting sensory or motor function. In Asbury AK, Thomas PK (eds) Peripheral Nerve Disorders, Vol 2. Oxford, Butterworth Heinemann, 1995, pp 59-94. Pain is the consequence of stimulation of pain-sensitive structures and is often an early sign of disease or tissue damage. When pain is the result of physiological activity in the normal pain receptors, and there is no primary dysfunction of the nervous system, it is called nociceptive pain. Nociceptive pain may indicate a disorder in any other system or organ, and its diagnosis and treatment involve different medical specialties. Pain resulting from the dysfunction of the central or peripheral nervous system is called neuropathic pain, and its treatment usually involves the neurological team. Neuropathic pain actually involves different kinds of pain and reflects different pathophysiological mechanisms (see later discussion). Continuous peripheral nerve blocks allow the maintenance of analgesia either by repeated injections or by continuous infusion of local anesthetics. Most of the studies on the use of this technique are in the postoperative setting rather than in the setting of trauma. The advantages of this technique in trauma, however, are quite obvious. With a catheter in place, the duration of the analgesia or anesthesia can be extended, and the concentration of the local anesthetic can be changed to provide sympathetic block, sensory block, or motor block with muscle relaxation, as desired. Clinical signs of return of muscle tone include retraction of the wound edges during abdominal operations and abdominal muscle, diaphragmatic or facial movement. An increase in airway pressure (with a time- or volume-cycled ventilator) may indicate a return of muscle tone. 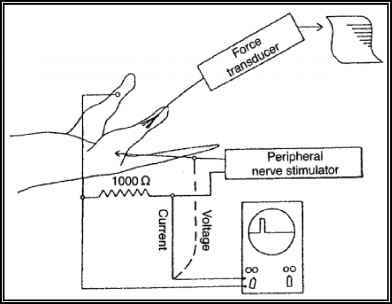 Quantitative estimation of neuromuscular status may be obtained with a peripheral nerve stimulator (see Ch. 38). Small increments (e.g. 25-35 of the original dose) of muscle relaxant may be given to maintain relaxation alternatively, an i.v. infusion may be a more convenient method of administration, but the use of a peripheral nerve stimulator is mandatory with this technique. The dermatomal innervation is from multiple peripheral nerves that carry the same spinal levels (Figure 29-5C). For example, the spinal root of C6 provides cutaneous innervation to the lateral part of the forearm and hand. In other words, all sensory neurons originating in this region will terminate at the C6 spinal nerve level (Figure 29-5D). Autosomal dominant disorders that can arise from either familial inheritance ( 50 ) or spontaneous mutation ( 50 ). They can affect any peripheral nerve throughout the body. Most tumors caused by neurofibromatosis are benign. Neurofibromas, especially the plexiform type, are predominantly associated with nF type 1, or von Recklinghausen's disease, whereas schwannomas of the spinal and cranial nerve roots, especially of the vestibular cranial nerve, are often associated with NF type 2.3,51 Schwannomas can also be associated with NF1, but they are much less common than neurofibromas. The diagnostic criteria of NF1 and NF2 are based on the National Institutes of Health (NIH) Consensus Development Conference on Neurofibromatosis in 1987 (see Although aspects of this Consensus Statement have been superceded in view of continued research, these criteria are primarily valid and valuable in the diagnostic evaluation for NF. A group of tumors arises from neurons. These tumors may differ considerably in terms of their histologic appearance, state of differentiation, location, clinical presentation, and recommended treatments. Most of these tumors are benign and therefore often a surgical cure can be achieved. Those that are malignant require adjuvant therapies such as chemotherapy and radiation treatment. Although usually not included in chapters on peripheral nerve tumors, these tumors are described briefly in this chapter for the sake of being comprehensive. Risk of brain atrophy and infarction exists particularly in those patients with associated coagulation disorders and in those with a history of hypertensive crises. Reports of nonspecific electroencephalo-graphic abnormalities, delayed myelination of the somatosensory cortex, and slower peripheral nerve conduction velocities have also been published. Furthermore, Gipson et al. (2007) pointed out that general cognitive functioning scores are lower than normal among children with CKD and that attention, executive function, and memory are common areas of concern. Children living with HIV commonly experience pain (Gaughan et al. 2002 Hirschfeld et al. 1996 Lolekha et al. 2004), including abdominal pain of unclear etiology, myositis, tension headaches, and neuropathic pain that is difficult to manage. Discomfort related to invasive procedures, toxicities and adverse drug reactions, invasive secondary infections, pancreatitis, and erosive esophagitis may be treated pharmacologically. Pain has been found to be associated with more severe immunosuppres-sion and increased likelihood of death (Gaughan et al. 2002). There are no published studies examining the relationship between chronic pain and psychological distress in HIV-infected children. Nevertheless, children fear pain, and pain is made worse by emotional distress, so attention at regular intervals to physical and emotional distress is warranted. Several risk factors for peripheral nerve injury and rhabdomyolysis related to the patient have been cited, including patient age and body habitus (Table 1). Advanced age may be a risk factor for the development of peripheral neuropathy post-operatively. Wolf et al. found that those patients with motor nerve palsies were the oldest group and postulated a higher prevalence of preexisting subclinical nerve deterioration in the elderly (3). Traumatic trigeminal neuralgia is defined as continuous neuropathic pain following complete or partial peripheral nerve injury in the trigeminal nerve distribution. Treatment with topical therapies such as capsaicin may be of benefit. Neural blockade produces temporary relief only. Overall, the nervous system consists of the central nervous system (CNS), comprising the brain and spinal cord, and the peripheral nervous system (PNS), which is composed of nerves extending to and from the CNS. The major constituent systems of the central and peripheral nervous systems, shown in Box A2, are described in the following sections. The neurotransmitter at ganglions (synapses), which are junctions between the preganglionic fibres and the post-ganglionic fibres, in both the parasympathetic nervous system and the sympathetic nervous system is acetylcholine (see Figure A4 of the peripheral nervous system). Acetylcholine is also the neurotransmitter at the post-ganglionic nerve endings of the parasympathetic nervous system, and acts as the neurotransmitter at some post-ganglionic nerve endings of the sympathetic nervous system. 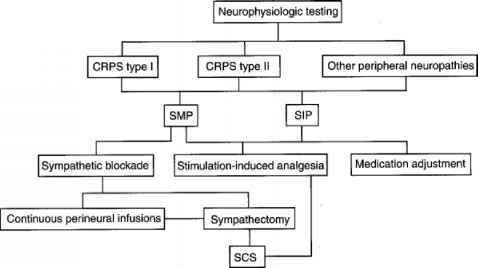 Complex regional pain syndrome (CRPS) Types I and II are important examples of neuropathic pain, which may affect a wide range of age groups. The condition is seen almost exclusively in the chronic pain management clinics and you may well have little direct experience of its main features and management. Neuropathic pain, however, complicates many disease states, is severe and difficult to treat, and remains incompletely understood. For this reason it continues to appear as a popular examination topic. Problems of the cervical nerve roots or peripheral nerves may affect both muscular strength and sensation of the upper extremity. Major peripheral nerves and each neurological level should be tested. Use a sharp object to touch the areas of the skin supplied by the nerve or nerve root while the athlete looks away. Although peripheral nerve blocks are normally performed in the pain clinic, severe intractable pain is sometimes relieved only by dorsal cordotomy or rhizotomy. Both techniques involve upper thoracic laminectomy to expose the spinal cord, with the patient prone as for decompressive surgery. Some patients are extremely frail, and positioning them to avoid pressure sores is particularly important. 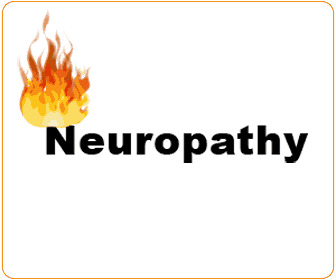 A number also have an element of autonomic neuropathy, with resultant cardiovascular instability. Neurological ablation produces intense temporary stimulation, and adequate anaesthesia and analgesia are particularly important during the process of nerve section. The rehabilitation of patients with diseases of the anterior horn cell, peripheral nerve, neu-romuscular junction, and muscle depends especially on the temporal course of the specific illness, its natural history, and the distribution of weakness. Approaches to neuromuscular rehabilitation have far more similarities than differences, whether the disease affects primarily muscle or nerve.1,2 These approaches have not changed much over the past 25 years, but better evidence for their safety and efficacy has evolved. The prospects for gene therapies,3 molecular approaches,4 trophic factors,5,6 immune therapies, and approaches to regeneration of muscle7 have raised the hopes of physicians and patients for new interventions and cures for hereditary diseases (see Chapter 2). As a group, these neoplasms are exceedingly rare in childhood, with only sporadic cases reported in the literature. In general, if a non-neural lesion is suspected in the peripheral nerve of a child, the principles of management for its counterpart in adults should be followed.